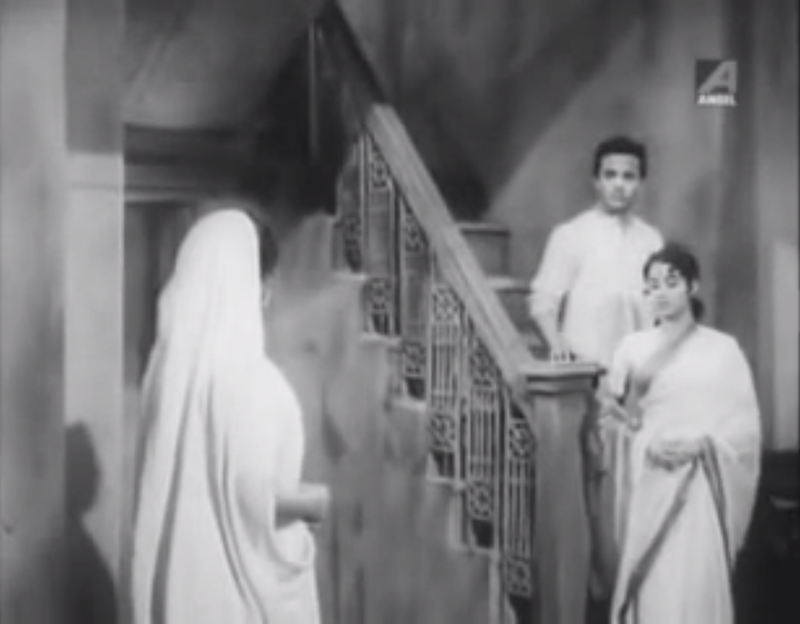 Saptapadi probably isn't the be all-end all of Bengali popular cinema of its time. But . . . I'm fairly certain that the director Ajoy Kar (also of Saat Pake Bandha and Harano Sur) is a genius, though. Because, despite the fact that I was pretty sure it was all going to end horribly, I couldn't stop watching. Even when I hated moments of it, I loved that I hated it. I loved that it had the ability to make me miserable and wildly happy in a ten minute block of time. It is a film that deserves its very own category. While this might just be the de facto answer when one can't invent the right box to hold something, I do think that Saptapadi is unusual for a lot of reasons. 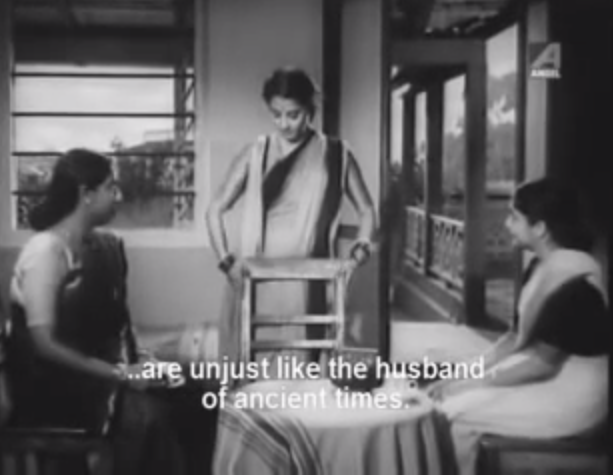 Maybe it won't seem as special after watching more Bengali cinema or delving deeper into the context of that cinema (my copy of Gooptu's "An Other Nation" should be arriving any day now), but I doubt it. One of the things that sets it apart is the Bengali/Anglo-Indian, Hindu/Christian, romance. Unlike later Merchant-Ivory stories with similar themes, Saptapadi is the tale of two Bengali-speaking protagonists, Krishnendu and Rina. The culture gap, then, is more of a sub-cultural gap. It's not THAT far of a jump between them. Both characters have been presumably brought up in Bengal. Both characters attend the same school. Both are well-fed and well-clothed (though Rina Brown seems to have money to burn). The questions of whiteness and brownness (and whether it's actually at all relevant to their lives) is dealt with in earlier stages of their relationship. Ironically, even their college performance of Othello serves to erase their perceived differences. Krishnendu donning blackface in order to play the brooding Moor . . . after he has already been called "blackie" numerous times . . . is a hilarious way to show color as a spectrum, rather than a convenient false-dichotomy. One also gets the feeling that the problems of Desdemona and Othello represent a conflict that "other people" will project upon them, not a race dilemma they actually feel personally. Obviously, then, the eventual chasm between them must begin at the fissure of religion; more importantly, parental religious strictures. At first, when one of the two is asked change religion, it is handled nonchalantly. One character says "The only religion I believe in is the religion of mankind. There is no difference between temple and church in that religion." Progressive, right? Unfortunately, this early humanistic philosophy doesn't manage to make it out of the film undiluted. It's muddied by Rina and Krishnendu's fathers' use of religion as an instrument of manipulation. By way of resolving that interference, the role of religion in the character's inner journeys later becomes similarly forced. Terrifying Chhabi Biswas. Don't let him in, honey, don't! Yet, humanism is still present in symbol, if not in substance by the final minutes. One member of the couple converts to the other's religion, and the other member turns out to be less different in "race" than it may have appeared. The bridge between them is built through a natural weakening or merging of the qualities that had once differentiated them and a magical letter resolving all misunderstandings. These denouement lines are heavily drawn, but the picture is still an encouraging one. "People are not all that different," the film seems to say. "It is only their worlds that keep them apart." There's something about Ray's films that makes matinee idols feel like the everyday Joes you see on the commuter rail. 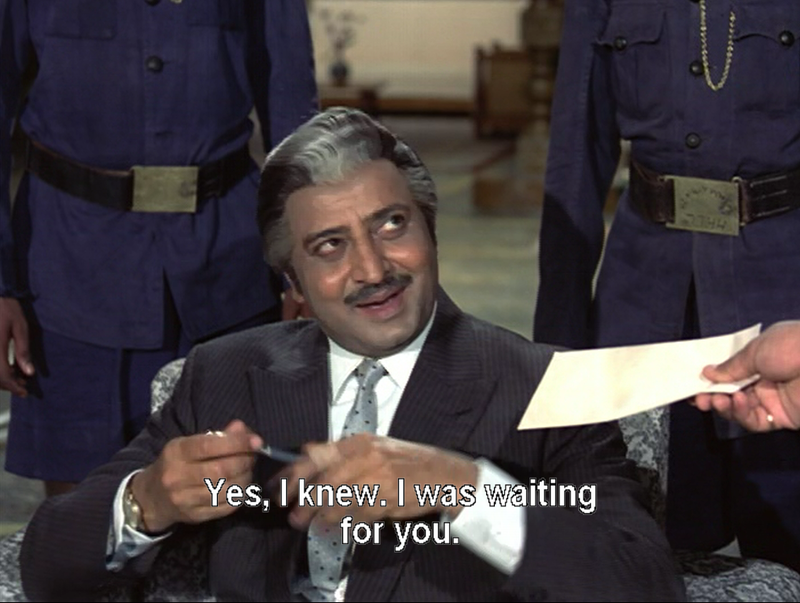 OK, Nayak is literally about just that, but you know what I mean. Ray exercises a formidable democratizing force in his films. Big stars instantly transform from gods to men. For his camera does not worship, but reflect. Perhaps because of this, neither Soumitra or Uttam's first appearances on my radar (both in Ray films) convinced me of their individual worth. Ray's story was all that mattered. And when all must be sacrificed for the sake of the story, sometimes (most of the time maybe?) an actor's charisma is the first to go. And this is exactly why you can't just watch art cinema, or serious cinema of Bengal. 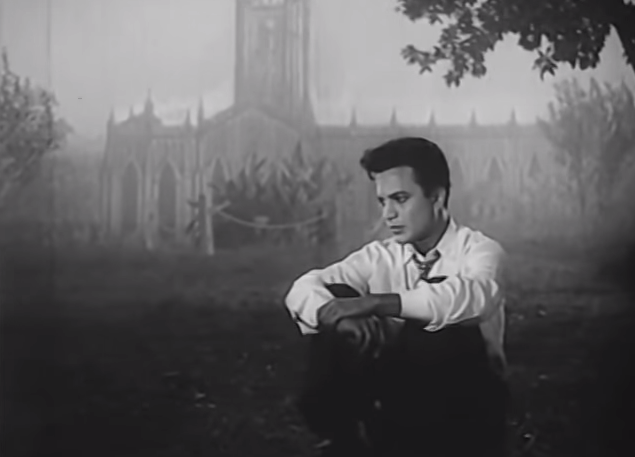 'Cause then you'd seriously be missing out on a treasure: Uttam Kumar. It's clear from my brief wanderings in silver-screen Kolkata that Uttam's best avatar didn't quite make it much past Nayak. Even in the latter, his perfection is waning. But in Saptapadi? He practically eclipses everyone else. 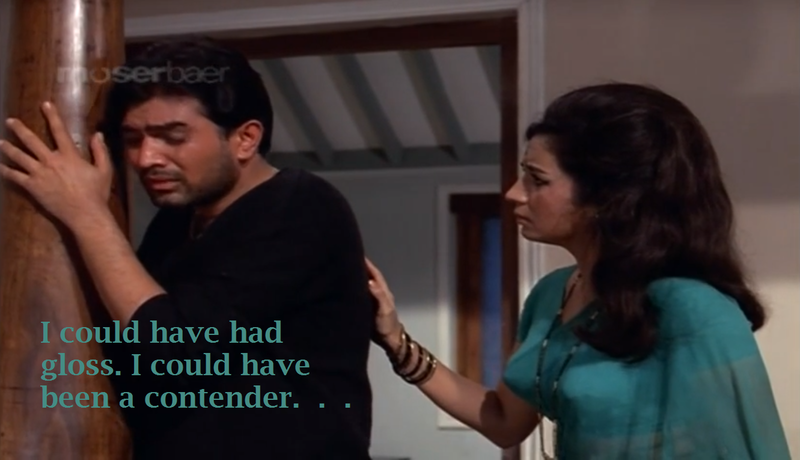 Even Suchitra (whom I like without reservations) struggles to out-sparkle him, an attempt that is not aided by the shaky writing for her character. There are a lot of great things about him that I can't put into words yet, but I am impressed by how he is able to be completely present in a scene with his lead actress and tease out the humor or the pathos in the tiniest of interactions. And because he's tuned into the scene, he doesn't repeat the flashes of charm or engaging mannerisms in the same order. Also, he knows how to wait for the right moment to reveal said charm. Timing, ladies and gentleman. The man had it in spades. 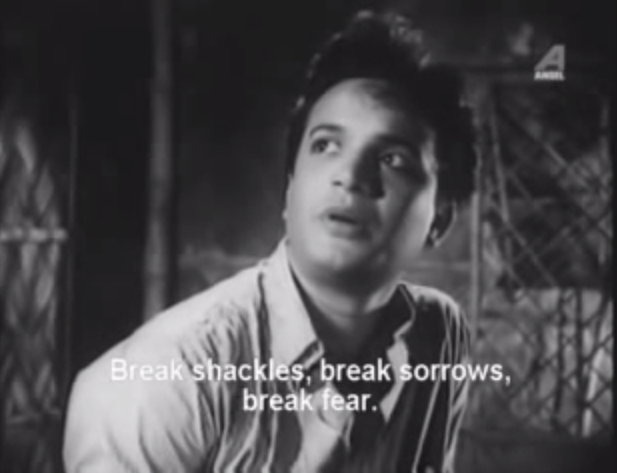 Though you may [and probably will point out] that he is the most revered actor of Bengali cinema for a reason, I will counter with the point that there are many *cough* MGR *cough* other regional superstars of the period that I do not "get" in the slightest. Obviously, I'm still hyperventilating about this film. I'm sure everyone who has seen it is going to roll their eyes and say, "Of course you liked it. 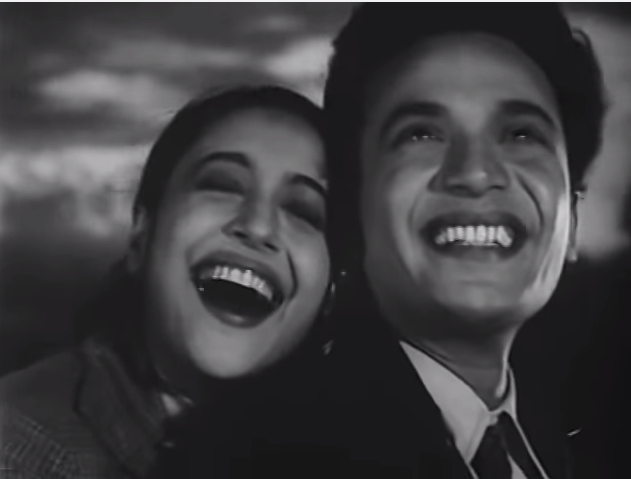 It's drama, melodrama, melody ... it's Uttam Kumar and Suchitra Sen at the pinnacle of their onscreen-partnership. It's got an inter-cultural relationship, a college-storyline, a motorcycle song, and hot doctors. And Anglo-Indians and Shakespeare and swing-dancing." Well, I did like it, OK? You don't have to be so smug about it, all you hypothetical readers. Gosh. At first, this film seems to be about two students who get married rashly, outside of their respective castes, and then have to deal with the ongoing pressures of unemployment and disproportionate success. 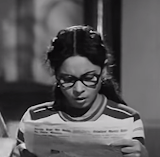 It also appears to be the cautionary tale of woman, Indrani (Suchitra Sen), whose education goes to her head. . . and needs to be taken down a few pegs before she can have the home she wants. But let me tell you, even though I thought I'd seen this story before, it is NOT about what I expected it to be about. On the one hand, Indrani is clearly set-up as the modern woman who goes a bit mad with her own independence, seizing all the power in her marriage and stepping on her husband's self-respect for good measure. 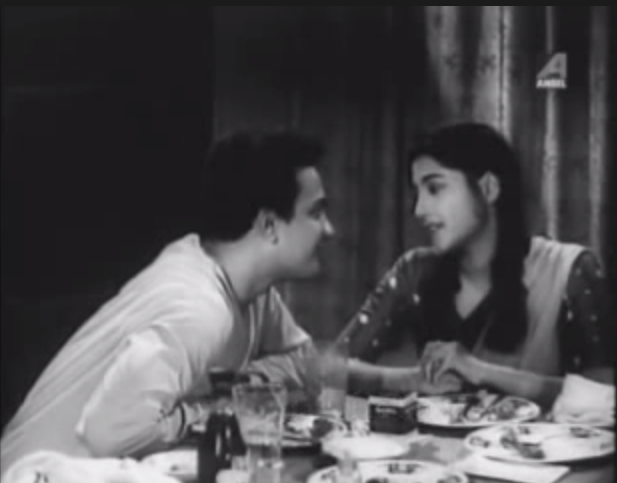 Compared to Indrani's hot and cold adoration and abuse, her husband, Sudarshan (Uttam Kumar) is a catch. His only faults being: his inability to confront people with his true opinions or decisions, and his related tendency to run away from problems. He's working on his PhD thesis; he's good tempered, poetic, hopeful. But he's also the slow burn kind of angry, which is the kind you want to watch out for. All the necessary elements for a morality play's final, judgmental curtain fall. Think Gone With The Wind: a woman dares to break the rules and the man she loves eventually breaks, too. But on the other hand, the earliest ideals on display in the film are (A) equal education for both sexes, (B) an indictment of the caste prohibitions against marriage, and (C) an honest look at how loving families turn hateful when those prohibitions are disregarded. In their marriage, Sudarshan happily lets Indrani make major decisions, even when they turn out to be insulting or hurtful (like when she curtains off two rooms and assigns them separate bedrooms--saying that she will come over to his side when she feels like it, but won't allow him to do the same). And during the "shame" of his ongoing un-employment, Sudarshan doesn't blame Indrani's success. This clearly wasn't the "poor-me" male-arc of A Star is Born or any of its Indian equivalents. By the middle of the film, I was starting to go crazy with all these perceived inconsistencies in the narrative and in the characters themselves. Indrani's reckoning arrives (or so I thought) when not only has Sudarshan been maligned by the community for being dependent on his wife and mocked for taking a small tuition job . . . but Indrani herself has joined in the abuse, telling him that his pittance pay has caused her to lose face. Insult to injuries, Indrani's father, suddenly feeling like he wants to undo the whole disowning thing (because his roof needs fixing and his daughter has money) shows up, acts like the house is his and takes Sudarshan for a charity case boarder. Rather than standing up for himself, Sudarshan just leaves. And this is where the writers' cards were finally revealed. Drifting around in a sort of hungry, zen sadness, Sudarshan is swept up into a grassroots regional improvement group. You know, just a few folks creating their own tiny subsistence community sans paisa, with lots of grand ideas about the value of manual labor and free childhood education. Yeah, this film is about socialism. Surprise! The monster here is not female liberation, but materialism. Indrani is being criticized for her love of wealth and prestige, not her level of education. The more her career gives her what she wants elsewhere, the less she appreciates what she has at home. Conversely, the less Sudarshan achieves, the less he asks for. Eventually, through leaving his credentials behind, and engaging in hard labor and social collaboration, he finds an intangible kind of fulfillment. But if it was just about breaking Indrani's ego and greed, and the idolization of Sudarshan's new life, this film would have ended differently. [This is your cue to stop reading if you don't want to know.] When the lovers do eventually reunite, the humbling is NOT one-sided. I was dreading the "fall-at-his-feet" reunion, the credits rolling seconds later with some maxim about "loving your hubby right." It didn't happen. Indrani is conciliatory, but firm. She doesn't spend time blaming herself, nor does she make any grand pleas or promises. 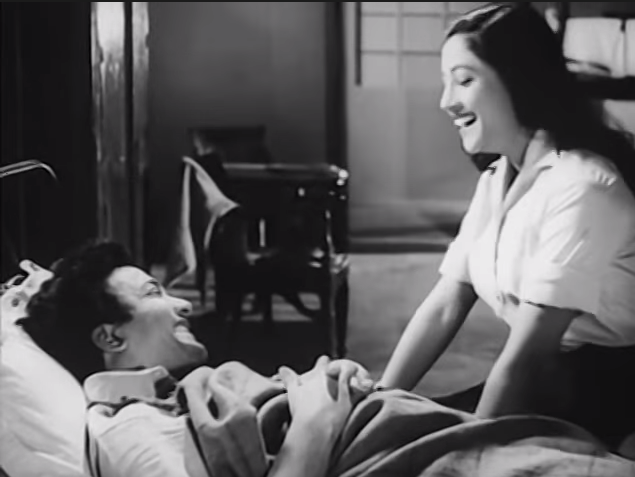 She tells him she has left everything (true: she left her employment and applied for a "job" in the commune before even trying to speak with Sudarshan) and is ready to build a different kind of life with him. But it takes Sudarshan some time (and a small catastrophe) to conquer his own desire for independent success outside of his marriage (however much his efforts appeared to benefit the community first). . . as well as that nagging habit of leaving when things get tough (perfectly symbolized by his matured reaction to a crisis in the new commune). However, when they do reconcile, they renew their bond in a remarkably egalitarian manner. Looking back at the progression of [downright gorgeous] songs and poetry, I was impressed by the way the lyrics of even the early romantic serenades perfectly set up the final conclusions of the film. And the smallest of interactions (like Sudarshan ceding a job interview to another candidate who is more in need) served to plant the seeds of ideology long before the grand message's reveal or denouement. This film may be collectivist propaganda, but it is also rather clever in how it uses a relationship as a microcosm for the problems of society and an eventual prescription for reform. Here and there, you might even find yourself nodding in agreement. My perfectionist inner blogger is waiting. Waiting for me to stop watching films and write about all of them. All of them. Properly. Not just in bits and pieces. Until that happens, if you'd like, you can check out briefer commentary about my recently watched films and regional cinema exploration linked below from Halfway through the Dark. Why they work as a screen couple. 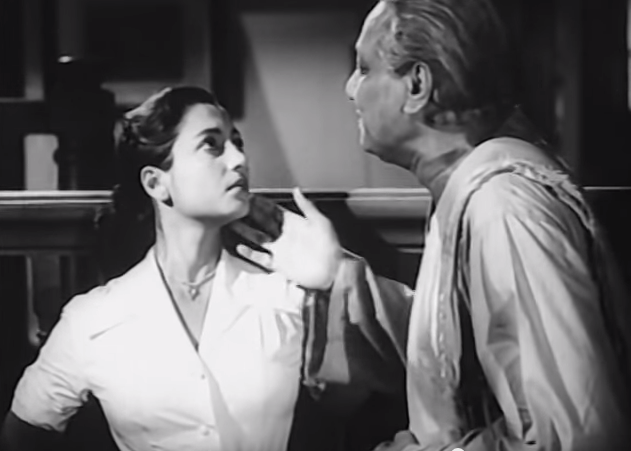 Must see: Indrani and Trizama. Differences between Bengali and Hindi poetry and why it's nice to have something different. 4. What happens when you mistake lyrics in one language for words in another language . . .
. . . And neither language is your first language. Do you hear it too? By Sharmila Tagore. 'Cause how could I not click on that? And highlights. Why? Because of the underage thing, darn it. 7. Reveling in . . .
Sharmilee moments. Exhibit One, Two, and Three. With a little help from a guest star. Why some of us prefer the THEN to the NOW. Conversation: Part 1, Part 2, Part 3. As we rarely see her, and yet as very much herself. Mystic bleach. It's not the name of the song, but maybe it should be. How to make yourself crystal clear without saying anything at all. There's a small, but vocal, group of bloggers on Tumblr who prefer the 50's era of Bollywood above all else. Though we don't share most of our *ultimate* favorites, we do share a certain sensibilities and academic interests. I'm all for being stretched in my personal film journey. As long as I can stretch someone else back--which is where the list comes in. This is a proper post for anyone who wants a real read. I didn't post it here because I wanted to save my Blogger editor energies for the films I've got piling up that I maybe, probably should write about before they fade from memory. AND if this list eventually appears here I will make some changes so it eliminates films of which I've already talked about extensively here. Retrospective: Filmi~Contrast is one year old today! Mubarak ho! It's flashback time. . . I came home from London last year in June, after a week spent alternately in delight (SO many hours at the British Museum and National Gallery and watching Bunty aur Babli back at the hotel room) and horror (bedbugs) and immediately broke to my closest friends and family the grim truth. "I'm going to take Hindi this fall," I said. "It's probably going to take me to my next step school-wise," I said even more carefully. "Got a problem with that?" I was kinda nervous to hear the answer. It's nice to be beyond that. Similarly, while the romantic in me already wants to idealize the early stages of obsession with Hindi films, the first months of writing about them, the humid mornings reading Rushdie on the patio, or the numerous nights last summer spent with *ahem* brandy, neat, and various world-shaking first watches . . . when you do the math, I am better off now. With the intent to prove just that, and in honor of Filmi-Contrast turning one year old today (I know, still so much ahead in its blog life) let's have a retrospective. Last summer, before this blog began . . .
1. 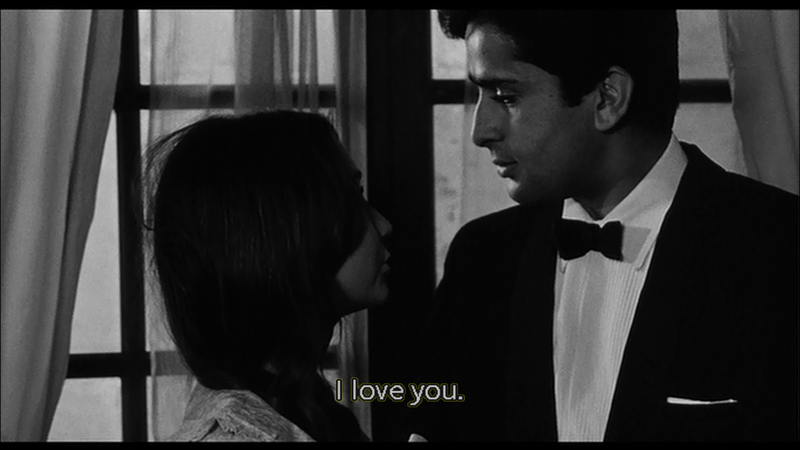 Confession: Shashi Kapoor was my be all, end all. Up through July, anyway. I was aware that Shashi's oeuvre was fabulously represented [far, far better than I could manage] through other bloggers' write-ups, and so I made a conscious effort to establish my blog for other purposes. I tried my best to keep the Shashi talk to a minimum and try new things. Long term, I wanted to keep myself accountable to broadening my horizons, not just finding an obsession outlet. Lucky, too, 'cause not long after I attempted this, my fixation disappeared rather abruptly. It sounds odd, but because I didn't have first fandom claim, I felt I was encroaching upon someone else's imaginary boyfriend. I didn't want to be addicted to stolen goods. (Although, I still share the PPCC's documented fascination with the grey-templed Shashi.) In summary: my fangirl days are over, but his skill as an actor still gives me the chills sometimes. 2. My definition of quality cinema was embarrassingly narrow. One of the best habits I've ever stumbled into was to start reading smart, obscure film commentary, like that of 4DK or Teleport City. 4DK first exposed me to the Gunmaster G-9 films... pretty much as soon as I set eyes on Todd's edits, I was hooked. Of course, I haven't gone out to search for every crazy film I've read about, but it's empowering to see intelligent, brave folks exploring the no-budget, un-subtitled, commercial cinema of the world. 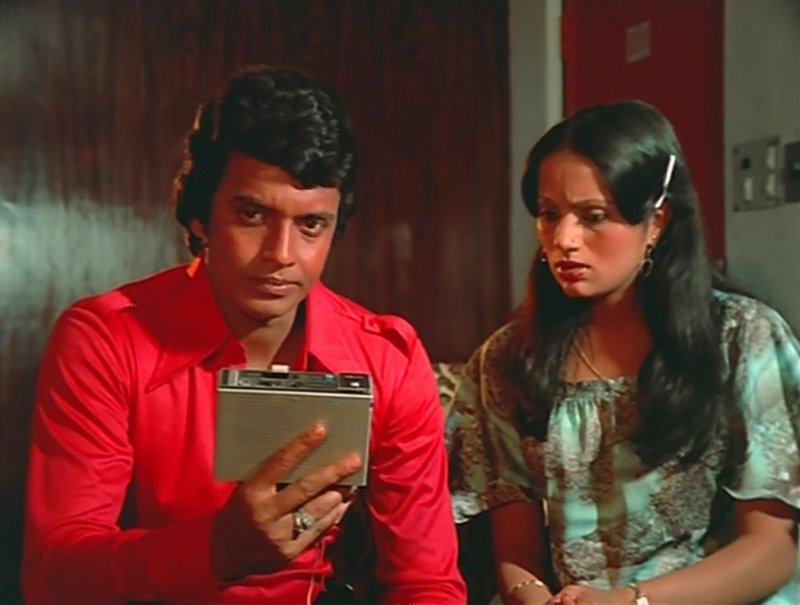 I credit Shashi Kapoor and established Bollywood bloggers for enabling my classic filmi appreciation to take off. But this past year I've also explored older cinema from other countries: Russia, Japan, Greece, Italy, Egypt. It was good writers, tried and true cinema explorers who opened my eyes to the possibities. Because there is SO much more out there to love if one is willing to step out of one's snobbish, Westernized preconceptions of "good" art. 3. I had only seen one non-Hindi Indian film (Charulata). 2. Explore other regional cinemas, and develop parallel watching routines. (This also works to slow down consumption of all the decent Hindi films of a certain type.) This is a project I hope will be under construction for quite a while. 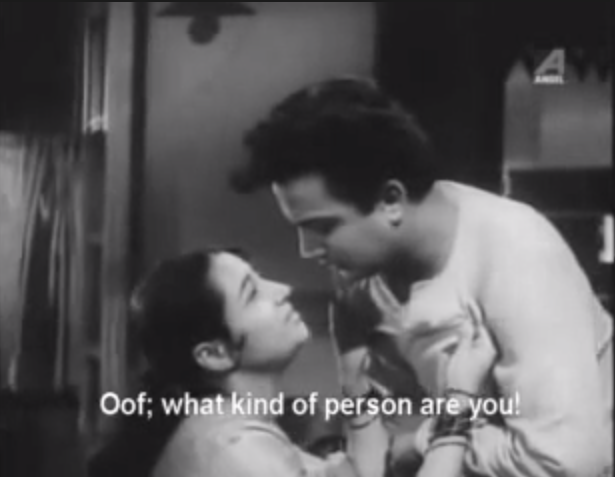 So far, I've found classic Bengali movies, arty or commercial, downright addicting. And I got through my first full Malayalam film recently, un-subtitled but quite beautifully shot. I have a feeling that it's hard to beat Malayalam films for use of lighting and color. 4. 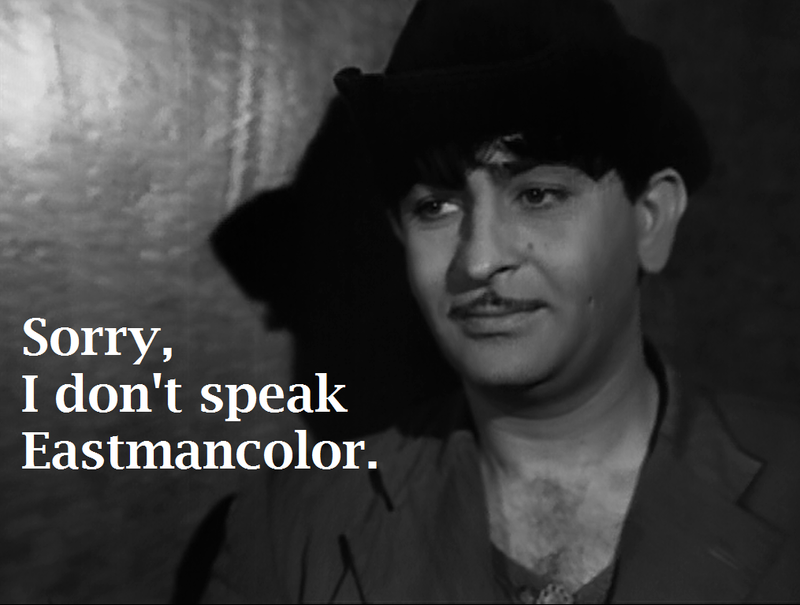 I had spent more hours researching classic Hindi cinema than actually watching it. 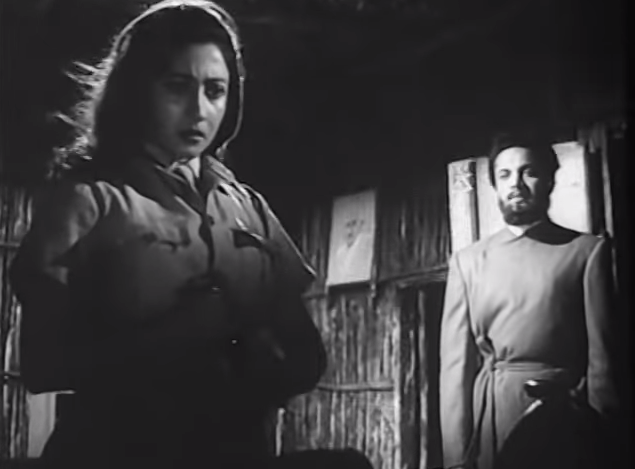 Classic cinema curation is a boon to the newcomer, and early Bollywood bloggers were game changers in that arena (you know who you are); painstakingly tracking down films they hadn't ever seen even a clip or a screen-cap from, jumping in blind, and then wrapping that film up in a neat package for the rest of us. After I saw two or three Bollywood films, I found the Bolly blogosphere, and couldn't believe my good fortune. I went on mad reading-binges (something I do whenever I need to grasp the wider context of a subject of interest). I vetted every film before watching, by standards I would laugh at now. 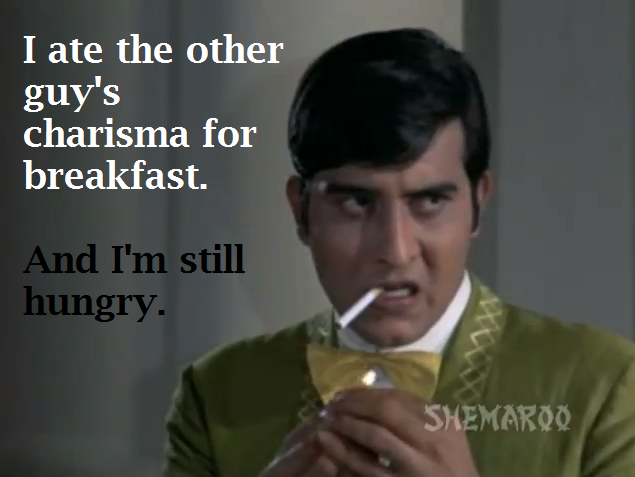 But right after I started this blog, I discovered Rajesh Khanna films. I'd heard a few people saying that Kati Patang was kinda progressive and worth a try. The music was a revelation (Thanks, early R. D. Burman) and there was something about Rajesh's early work that bypassed my critical brain and anxiety about being "let down" by a film. I found Sharmila's presence in a lot of these films to be a huge plus. I started watching whatever RK vehicles I could find with subtitles, good reviews or no. These days, that's par for the course. If I know I like an actor/actress/director, I'm ok just engaging with the film on its own terms, previous context or explanation be damned. Some bloggers joke that "subtitles are for suckers." Given experience in obscure film watching, I would say that sometimes "context is for suckers." Until after you've watched. Then, by all means, contextualize the hell out of it. The most rewarding films are often those you "discover" all by your lonesome, anyhow. 5. Nargis, Vinod Khanna, Hema Malini, Dharmendra, Sharmila Tagore, Pran . . . these folks were barely even on my radar. I could go on and on. The faces and personalities to discover, fall in love with, binge-watch, and research are nearly endless. And on the real life end of things, the people I've met and bonded with BECAUSE of our shared love of a star or an era. . . those relationships, whether they be long-distance or face-to-face, constantly enrich my life. My sincere thanks to you all for a lovely year of conversation! Note: I won't be allowing many gifs on this blog, if you're worried by the change. If, on the other hand, you want more, check out my updated and very filmi, Halfway-through-the-Dark tumblr. 5. The "out of date" factor. Did the film release more than a decade ago? Good luck getting your Bolly newbie to watch Bollywood with you again. [Oft-witnessed exception: DDLJ]. 4. Story is too serious, or outright tragic. Even something with a lot of amazing songs and dance sequences (Read: Bhansali's Devdas or Dil Se) might warn people away because SADNESS, and feelings. 3. Length of film. Yes. 3 hours is a long time. Don't be afraid to fast forward for the sleepy viewer. 1. Finding the lead actor(s) laughable, subsequently unable to take story seriously. 4. Glossy picture quality. By my third Hindi film, I had already dropped this requirement, more's the luck. But you can't expect most new filmi explorers to do the same. 3. Romance. 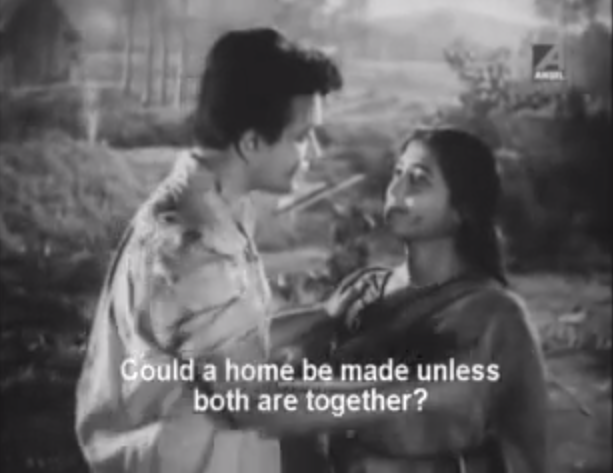 You know, the tried and true hilltop, multiple-sari, neck canoodling, ends in a rain song love story. It's a stereotype for a reason. 2. Tight editing. Something like Jodhaa Akbar might appeal to the newbie with already wet toes (or niche interests), but the grand biopic scope of the thing makes for some slow scenes and some very drawn out ideas. Same goes for a romance like Veer-Zaara; even though it was my second Hindi film, I can't say I would recommend the slow burn and flash-back framing for the newcomer. Plus, it seems unfair to suggest films that don't have re-watch value for me. If I don't care to give it six hours, why should I ask anyone else to give it three? They're more likely to stay awake for SRK's Don or Yeh Jawaani Hai Deewani. Read: Shah Rukh. His appeal is *nearly* limitless, in my experience. Even for the non-smitten, he seems to win the uninformed and confused over through straight-up hypnosis. Though, I've seen a few people immediately gravitate towards Ranbir or Hrithik instead. You know, the 1-3%. Bonus Round: The target viewer's personal aesthetic, niche interests, genre leanings, world cinema experience really does matter. Trying to pick out a Hindi film for a lover of Eastern European cinema and dark social commentaries is a lot different than choosing one to show a middle-aged Scandinavian on a Sunday afternoon. And a much younger sibling? I would suggest picking something funny in any Indian language. Just do. Or something with interesting CGI and worldbuilding (my youngest brother is obsessed with the fictionalized past depicted in Maghadeera, which tickles me to no end). After spending nearly a year writing about what makes all these films compelling to me, it's natural to think about what creates an appeal for others (especially when trying to convert friends and family). But I have to admit, when it comes to one's first experience with the Hindi film industry, it all might come down to luck. Would I have gotten the instant Bollywood Brain if my first movie hadn't been Fanaa? It may not make it to a lot of best-of lists, but it does have most of the individual elements I want in a Hindi melodrama. 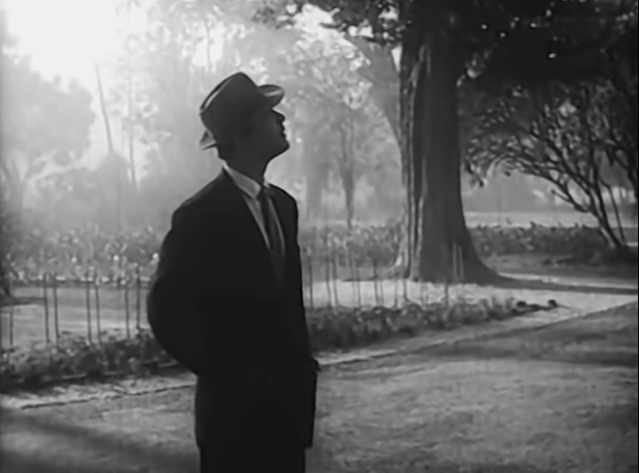 It relies on a lot of tropes [blindness, unwed motherhood, separated lovers, mountain reunions] that you can find in the melodramatic masala of movies like Khwab, Daag, Aradhana, Aa Gale Lag Jaa, etc. It's got Urdu couplet recitation (albeit rather dumbed down) that entranced me the first time I heard it . . . and made me instantly interested in studying the language formally. It's technically a muslim social, too: not that common in Bollywood anymore...but one of the genres I love in older films. And the scope was suitably large to woo me into (idealized) Indian culture beyond Mumbai or Delhi. I can see the problems in the film, but I'm so very glad it found me. I can't imagine a better introduction [for me], especially when faced with the options of other Netflix accessible, more recent films. So yes, I will continue to scheme up better ways to make others see what I see. What else are we gonna talk about otherwise? Labels: chemistry experiments, Inducting the Bolly Newbie, Lists and Countdowns, Watching Bollywood With Other People! Ok, it's probably just me, but singing to/about the culturally weighted mark on your forehead seems like a strange use of poetic license. Maybe it's no more strange than likening a lover's voice to that of the bulbul (popular from time immemorial), or a heroine spending an entire song saying "Mujhe chod do!" 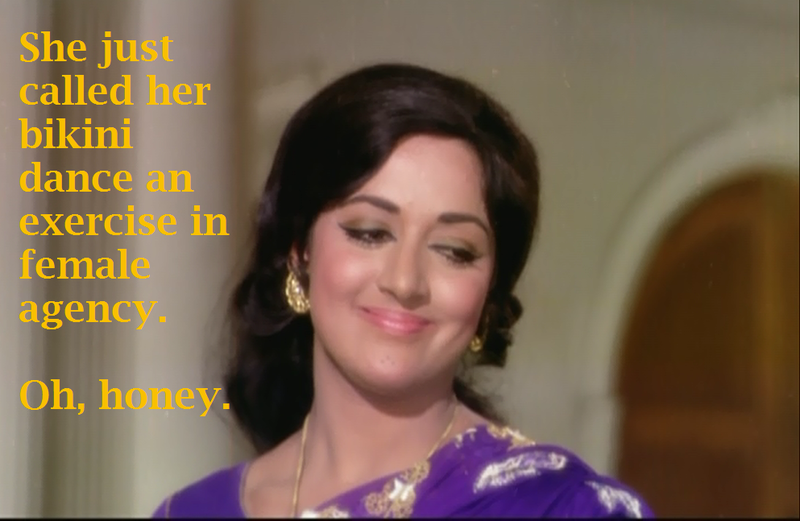 and in the last line changing her tune to "Aaja, meri baahon mein" (otherwise known as filmi-flirting). But still, this particular trend mystifies and intrigues me. Here are a few that popped up in my memory (and in my YouTube travels). Feel free to educate me as to (A) your favorite bindiya song, and (B) what IS this about? Along with other songs on this list, singing to one's bindiya is here the opening of a larger cosmetic ballad. No worries, Sridevi's kajra, bangles, and hair will not be left out of her self-serenade. 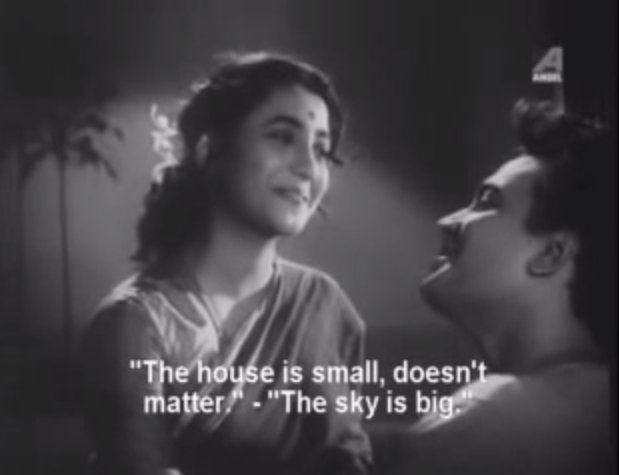 Perhaps this is just the filmi equivalent of singing in the shower . . . a way to glamorize the daily beautification grind. Here, the bindiya on Helen's forehead is conspicuously absent. I can only assume that it speaks for her character's displacement: she has neither the legitimacy of Indian wifehood nor the stability of Indian residency. Here, as an unfairly rejected wife, Rakhee's character sings a song of longing and hope as she adorns herself and the bedroom for the evening. Although not "just" a bindiya song from beginning to end, it follows the "cosmetic self-serenade" theme. Both the first and last songs on this list are songs of preparation, but while the Lamhe number is full of a youthful trust in beauty, this one is a desperate incantation--a woman begging the traditions of beauty to do their magic against all odds.